It's often imitated, but never duplicated. Iceman's Whoniverse Character Tournament is BACK! 64 Characters from 3 different shows. Doctor Who, Torchwood (No one from Miracle Day, because **** that) and The Sarah Jane Adventures. You may not vote twice. Please put your actual vote in BOLD. Discussion is fine, in fact, its encouraged, but it makes it easier for me to count your votes when its bold. Eventually, I would like to make the time limit 24 HOURS. But when we first start out, there will be more time to vote since things are a bit slow at the moment. In the event of a tie, I'll extend the deadline a bit to give new people a chance to vote. If no one does, and if I haven't voted, I'll vote, and break it. If I have voted, I'll flip a coin. Here is the bracket, if you want a preview of the upcoming matches (Spoilers). If you don't, well, then don't click. This first post will have the current battles, and links to it within the thread. This is the last tournament if you want an example of a setup. 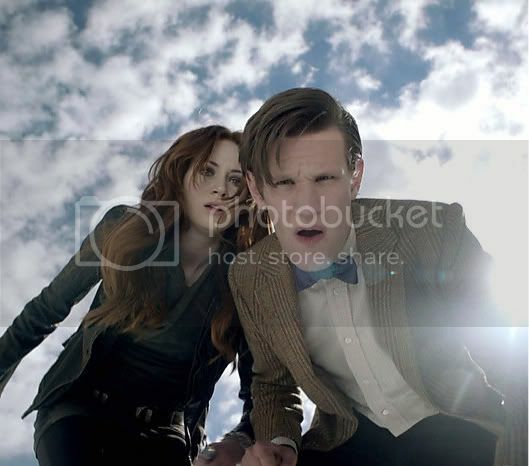 http://thedoctorinthetardis.freesmfhosting.com/index.php/topic,419.0.html It won't change all that much. Note: This tournament will cover everything in the new Doctor Who series through "The Name of the Doctor". It covers the entirety of Torchwood (besides Miracle Day because I don't want it to), and the complete series of "The Sarah Jane Adventures". 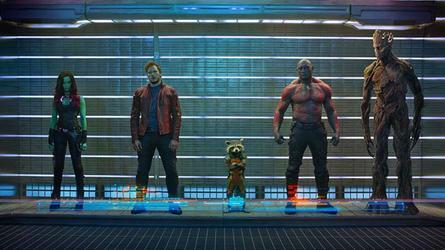 So there will technically be no spoilers. If you aren't completely caught up though, there will be spoilers for you. If you have any questions, you can PM me here or tweet me @Iceman525. Below is where the thread will always be updated with the winners and the current match, so instead of trying to find the actual post for a given day, just look here and it will link you to it. 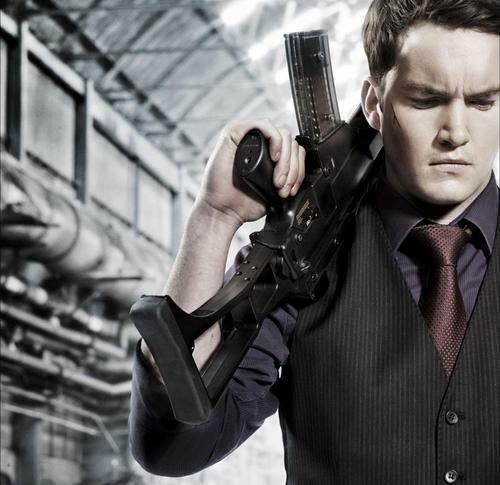 Ianto Jones was a member of the Torchwood Three, initially serving as more a "support man" or "Tea boy" but later taking a more active role in missions. Quote: "We don't sniff the sub-etheric resonator!" 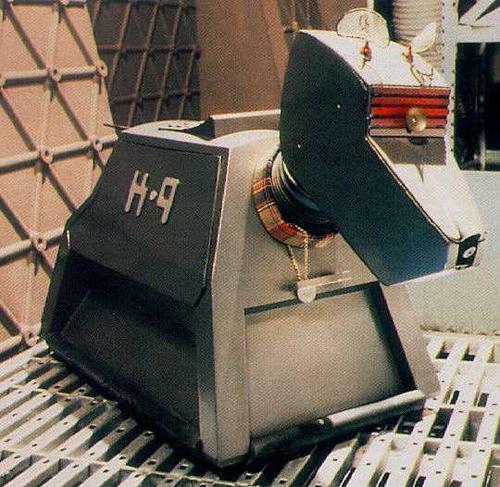 K9 — occasionally styled K-9 — was the designation given to a series of intelligent dog-like robots who served as companions for the Doctor, Leela, Romana and Sarah Jane Smith. Going against the current here and voting Ianto. Cheers for running this Icey, been a while since the last one. K9 advances to next round with a score of 11 - 4. Our next match will probably be a bit tougher. 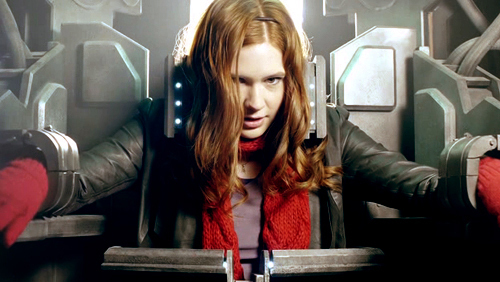 Amelia Jessica "Amy" Pond (later Amelia Williams) was the first companion of the Doctor in his eleventh incarnation. She was the girlfriend, later the wife of human nurse Rory Williams and the mother of Melody Pond, who would later be known as River Song. Quote: "Oh, don't mind me, I never could resist a keep out sign." Rose Marion Tyler, knighted Dame Rose of the Powell Estate, was the first known companion of the ninth incarnation of the Doctor, and the first companion of his tenth. Quote: "If someone is collecting aliens, that makes you Exhibit A."